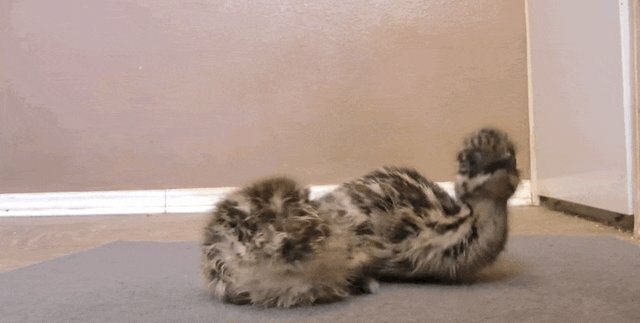 Everyone loves watching baby animals do adorable things - but here's one baby animal you may not have seen, and if you haven't, you're TOTALLY missing out. 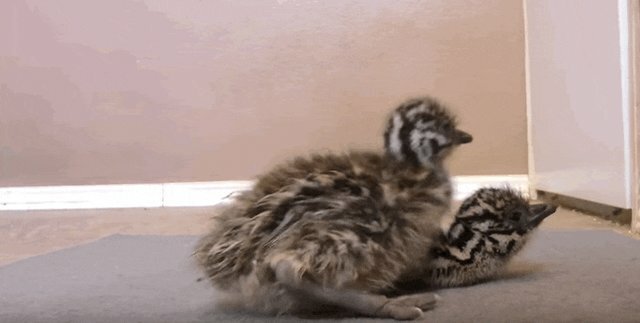 These are baby emus. Yep. Not only are they super cute, but these two are learning to walk, and they're having some ... trouble. Adorable trouble. ... or how not to fall once they do start moving. One little guy is finally able to take a few steps! But ... then he sits down again. Walking is hard. 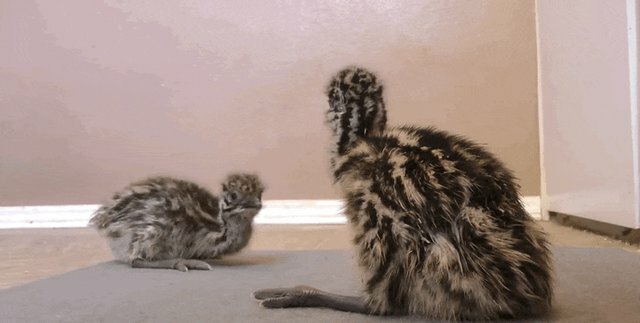 Basically, if these little emus can learn to walk, then anyone can do anything.